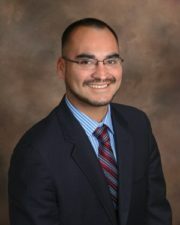 Michael Benavides represents California Residential Care Facilities for the Elderly in license revocation proceedings. He has defended RCFE’s in formal administrative hearings, non-compliance conferences and settlement negotiations. Through his experience representing RCFE’s Michael has a comprehensive understanding of Title 22 regulations, Health and Safety Code statutes and business practices. If D.S.S. is attempting to revoke your license call Michael Benavides at (916) 596-1018 for a free phone consultation. Michael Benavides defends Residential Care Facilities for the Elderly (RCFE’s) in license revocation proceedings initiated by Community Care Licensing and the Legal Division of the Department of Social Services. If you have received a Temporary Suspension Order or Accusation you must act quickly to protect your license. Prior to strict deadlines you or your attorney must file a Notice of Defense, request discovery and present a strong defense in settlement negotiations. Michael Benavides can begin representation the same day you call (916) 596-1018 for a free phone consultation. Due to the nature of 24-hour care many RCFE’s are sued by former caregivers for wage and hour violations including failure to pay minimum wage and overtime, waiting time penalties, failure to provide meal and rest breaks, and failure to provide accurate wage statements. Many of these claims arise from live-in caregivers or caregivers working shifts in excess of 8 hours. Attorney Michael Benavides defends RCFE’s in wage and hour litigation. As an administrative and employment law defense attorney Michael Benavides understands the requirements of Title 22 and realities of elder care necessary for effective defenses such as proper implementation of the care worker exception. To receive a free consultation with attorney Michael Benavides call (916) 596-1018. An attorney employs their education, skill and experience to achieve an optimal outcome for their client. For criminal defense attorneys that means keeping their clients out of prison. For license defense attorney Michael Benavides that means keeping his client’s license to operate an RCFE. In achieving an optimal outcome for his clients he uses his education including his Certification in Administrative Law and Health Policy, skill in negotiation and adversarial representation, and experience defending RCFE’s in settlement negotiations and administrative hearings. Accordingly, he is often able to achieve a better outcome for his clients than if they represented themselves without an attorney. Another reason why you should hire a lawyer is that you will be facing an attorney from the Legal Division of the Department of Social Services who is intent on evidencing serious or chronic violations of Title 22 or a situation injurious to the health and safety of residents. Rather than represent yourself before the Office of Administrative Hearings, you should retain a California Residential Care Facility defense attorney. The attorney can help you present a strong defense to the Administrative Law Judge. If you are at risk of losing your license to operate an RCFE you need to act quickly. Call license defense attorney Michael Benavides at (916) 596-1018 for a free phone consultation. The California Community Care Licensing Division (CCLD) is responsible for enforcing Title 22 regulations and the Health and Safety Code as they pertain to residential care facilities for the elderly (RCFE’s). The primary mechanism for enforcing these regulations are evaluation visits from Licensing Program Analysts (LPAs). During a facility evaluation the LPA will document any deficiencies and issue corresponding citations. If the LPA interprets a deficiency as posing an immediate risk to the health, safety or personal rights of residents the LPA may issue a Type A deficiency with a 24 hour plan of correction. If the deficiency is not corrected by the 24 hour deadline a civil penalty of $150 per day may be assessed. Type B citations are issued for deficiencies that could pose a risk to the health, safety or personal rights of residents, and Type C citations are issued for deficiencies that do not present even a potential threat to the health, safety or personal rights of residents. LPA’s are overworked, underpaid and often issue citations based on an incorrect interpretation of Title 22. Simply put, LPA’s have large caseloads and no time to research the law before issuing deficiency citations. Unlike an attorney, LPA’s have neither the time nor ability to perform legal research and interpret Title 22 according to the canons of statutory construction. As a result, LPA’s often issue erroneous deficiency citations. When this occurs it is your burden to appeal the citation to the Licensing Program Manager (LPM) within 10 working days of receiving the citation. (Be careful, some LPM’s incorrectly interpret “10 working days” as 10 calendar days). Title 22 is vague. When you have a question about a section of Title 22 the often unhelpful answer from CCL is “look at Title 22.” Instead of guessing how Title 22 applies to the complex operations of your assisted living facility, consult an assisted living attorney. Our attorney provides advice on regulatory compliance so that you’re prepared for your next facility evaluation. Visit our Google+ page to view all reviews. This testimonial or endorsement does not constitute a guarantee, warranty, or prediction regarding the outcome of your legal matter.